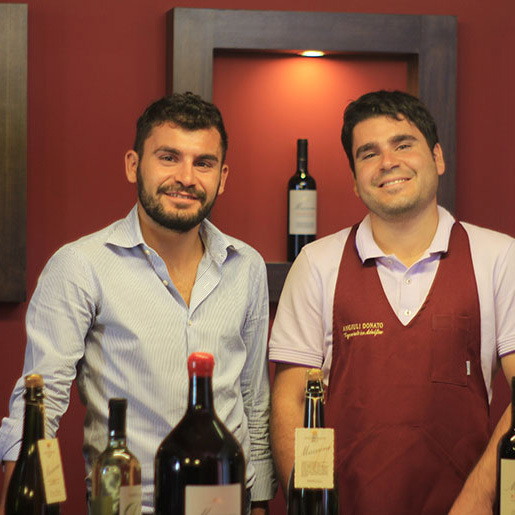 The history of the Angiuli winery goes back to 1880 and continues until today. Nature and landscape must be respected! This philosophy has been indisputable since 1880 in Adelfia, the heart of the wine-growing region of the Primitivo DOP Gioia del Colle. Hence our desire to cultivate local vines in harmony with the soil and the microclimate. 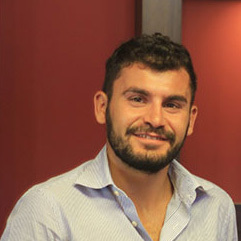 Donato Angiuli has created the Maccone brand for his winery’s niche wines. Maccone was the “artist name” of the first cellar master at our Angiuli winery. 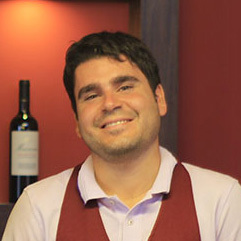 An impressive personality of outstanding professionalism, a celebrity among the regional winemakers. The wines of this product line come from old Alberello vines. The vines are between 50 and 80 years old and each produce only a few grapes, which, however, increase the quality of the final product all the more. Our Spumante Brut is the result of our passion and creativity and an original method unique in the international oenology scene: bottle fermentation without the addition of yeasts and sugars. irrevocable since 1880: the territory must be respected!